Matt Kloskowski is a full-time Education Director for Kelby Media Group and a Tampa-based photographer. He’s the Editor of Lightroom Magazine and teaches Photoshop and Lightroom seminars around the world. This post was originally published on the Shutterstock blog and has been reprinted with permission. Many authors will tell you that as soon as your book goes to print, you think of 100 things you wished you’d done differently. 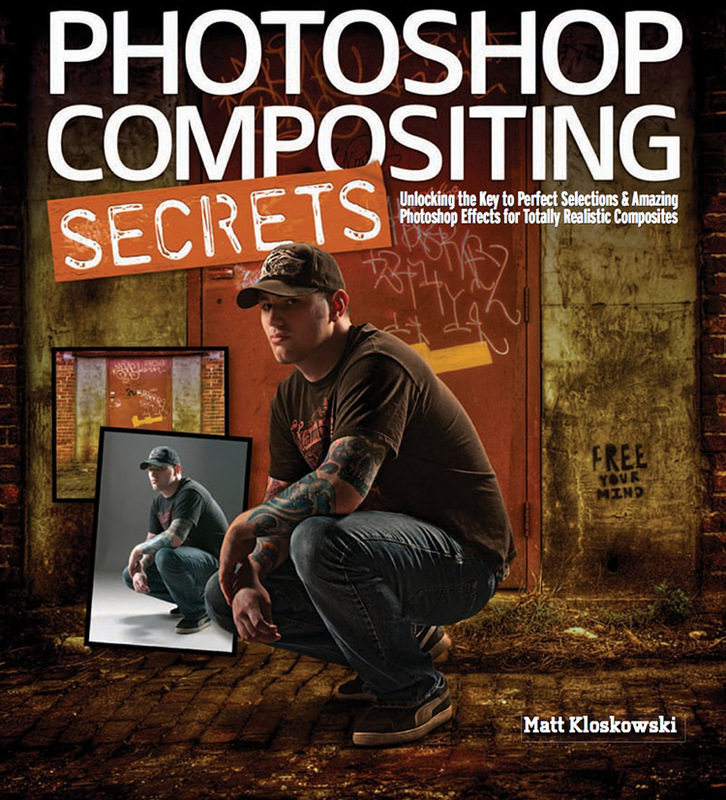 I can honestly say that, three years later, I would have written the same book, Photoshop Compositing Secrets. Here’s why. About five years ago, I saw a commercial on TV (for Mountain Dew of all things) that incorporated vector art, graphics, and illustrations along with the actor. It’s probably not the first commercial of its kind, but it really stuck with me. As a Photoshop, Lightroom and photography instructor, I immediately started going to work on how I could deconstruct something like this and turn it into a tutorial or image. I spent the entire night in front of my computer and came up with an image I thought was really cool. See, at that point, all I had done is either teach people how to make graphics, or teach them how to take photos and edit them. But this project put it all together into something the industry calls compositing — essentially taking a photo of a person (although it doesn’t always have to be a person) and putting them into a brand new scene that would normally be very difficult to photograph them in. Up to this point, I’d seen a few composite images, but after that night, I was totally hooked. So I spent the next year diving into every area of compositing I could. The audience I work with usually does it all, from the studio lighting to the photography, all the way to the post-processing and Photoshop work. So I spent every minute I could researching what it takes to pull off a professional looking composite; not to just create them, but to make them look real. To totally fool people into thinking the image was real. This meant I had to learn the studio lighting setups. I had to learn the photography techniques that allow you to capture a portrait that would make a compelling image. Then I had to learn the Photoshop techniques to make it look real. And, after many failed attempts, I finally felt I was ready and could consistently create a professional looking composite image from scratch. So I pitched my book publishers on the topic, and they gave me the green light. Up until then, I had felt that I put a lot of work into composites. But the reason this project is the one I’m most proud of is that I had no idea what was ahead of me. Creating composites on my own, using my own techniques, was one thing. Coming up with a teachable formula, and putting it into words was something totally different. As I teacher, I already knew this, but it still managed to surprise me once again. When things didn’t go right with my own images, I could just experiment to create something else, but that won’t work for a book. You’ve only got so many pages, and you have to show people how it’s done, rather than just say, “Hey! Experiment and see how it works for you!” That doesn’t teach people. From there, I had to put together a book full of images that I felt people would want to buy. Composite images can take on all styles. After an informal poll of my audience through social media and my blog, I found that everyone had a slightly different interest in compositing. There’s grungy, dramatic composites, like some of those by Joel Grimes (one of the guys I learned from); there are commercial-style composites that you’d see in magazines; there are movie-poster composites, sports-team composites; and everything in between. I realized that, rather than make a book for the style of images that I was drawn to, I would help the audience much more if I could show them the power of compositing in different areas. For the next two or three months, I locked myself in my office and our studios at Kelby Media Group. I hired talent to come in for photoshoots. 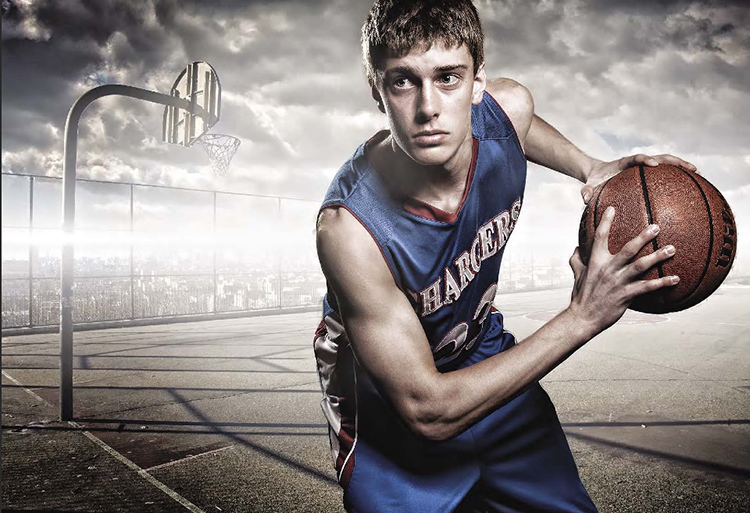 I set up lighting in the studio and spent countless hours in front of Photoshop. I can’t tell you how many failed attempts I had with images that just wouldn’t work and didn’t look good enough to show off; or images that just couldn’t be explained well enough, where I didn’t want to leave the reader hanging without being able to complete a project. And to cap it all off, I wanted one mega-composite to put as the last chapter of the book that incorporated everything. I could envision it, but it literally took me two weeks to create, between shooting and Photoshop work. After several months, I emerged with a book. And luckily it turned out to be a smash hit. It sold out on Amazon multiple times, and was even picked by the Amazon Editors as one of the Top Ten Best Books of 2011 in the Art and Photography category. As nice as that is, it’s nothing compared to reading reviews and getting feedback from people that said how it changed their creative work. People would send me images that were as good, if not better, than what I’d done in the book. As an author, that’s one of the coolest things you can see — when people get it and take what you taught them even further. But I think one of the proudest moments for me in this process is that I can sit here today, over three years later, and still say that this was absolutely my best work ever. I’ve written around 20 books, and in each one of them, I’d probably go back and change something. But if I could rewrite that book today, I honestly don’t think I’d change a thing. I truly believe it was a book that the reader could learn from, repeat themselves, and get inspired to go out and take those techniques even further to create their own images. And anytime you create something that people can really use to get inspired and help others create something themselves, it’s an incredibly satisfying feeling. Original photos for snowboarder composite by Tom Bol.